Chinese foreign direct investment (FDI) has to be defined as part of the Chinese Communist Party’s (CCP) broader strategy, under Xi Jinping’s leadership, to both expand its political influence and increase economic gains. This is part of China’s systemic challenge to the West’s liberal democracy. 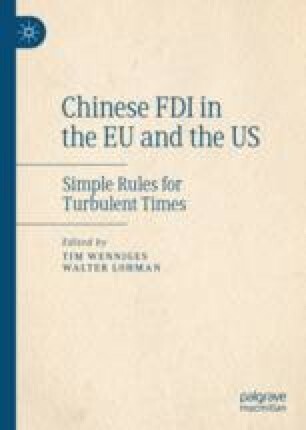 While Chinese FDI represents, as a matter of course, also an opportunity to increase Europe’s prosperity and have mutually beneficial effects, it is in Europe’s fundamental interest to minimise the CCP’s strategic and political gains, protect assets critical to national security, preserve European corporate and business practices, and push for equal market access for European FDI in China. For Europe, a lot will depend on improving knowledge and analytical capacities about China, maintaining unity in face of Chinese attempts to play European Union (EU) countries against each other and developing strong screening mechanisms against unwanted Chinese takeovers and forced technology transfer. The EU should not face China alone, but together with its global partners and allies, especially the United States.